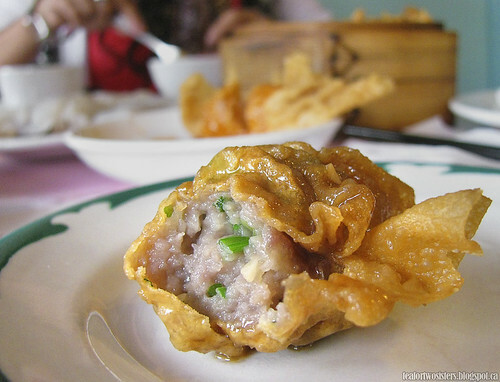 When I first heard about Hung Sum Restaurant, I was told that their dim sum was "amazeballs." Then I kind of forgot about it until I read Peter Hum's write up on the restaurant. I'm always up for trying a new place for dim sum. 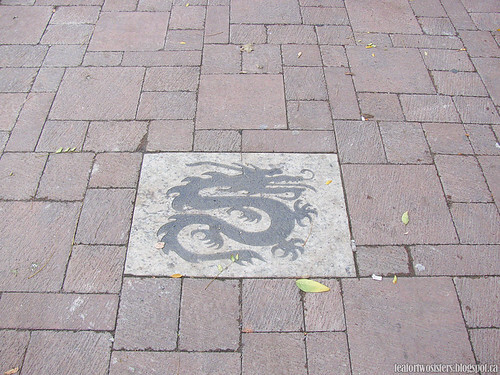 Hung Sum is a small place on Somerset (between Rochester St and Preston St). It's on the opposite side of the pho joints. When my friend, S, and I walked in, it felt like we were walking into someone's house. We had some deep fried shrimp dumpling ($3.35). I thought the vinegar in the sweet sauce was a nice touch. 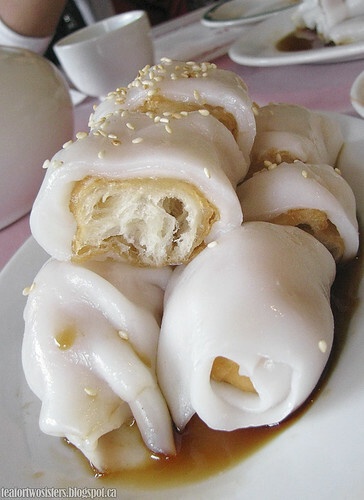 A plate of zhaliang (aka rice noodle roll with crispy donut - $3, youtiao cheung fan, or Chinese donut stick noodle rolls) was garnished with lightly toasted sesame seeds. There was a little bit of hoisin sauce on the other side of the plate. Look how thick the noodle was. I wish there was more sweet soy sauce to be soaked up and some sesame sauce on the side. Other than that, the small portion of zhaliang tasted fine to me. 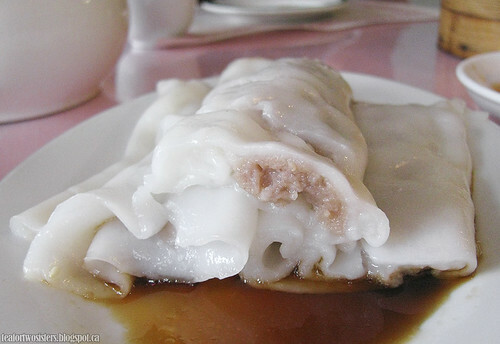 I think many dim sum-serving establishments actually make this dish, but I rarely see it on the menu/dim sum carts. You should try this carb-on-carb action if you haven't already. The beef cheung fan (noodle roll with beef - $3) and shrimp cheung fan (noodle roll with shrimp - $3.35) was alright. The skin was pretty thick again. Okay, is it just me, or have all the restaurants in Ottawa been skimping on the beef filling? The other two noodle rolls didn't have much beef, sadly. One of our favourite dishes of our meal was the steamer of [edited on Sept. 18th, 2013] coriander dumplings ($3) steamed green onion ginger beef dumpling ($3.10). 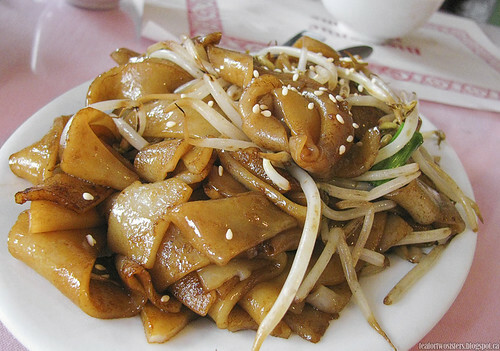 The flavour was similar to the filling in noodle rolls with beef. I found it quite bouncy, plump, and juicy. The ginger sauce was alright. 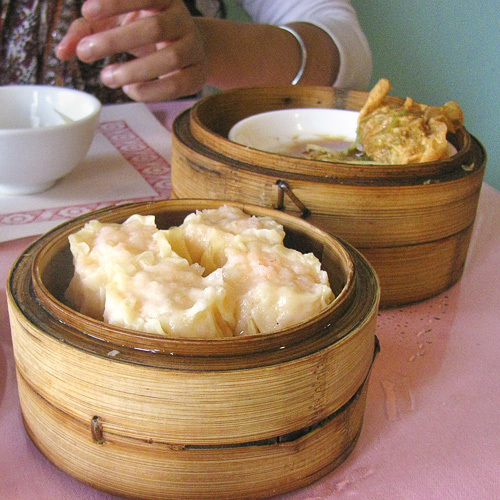 A steamer of shrimp siu mai ($3.35). I was taken back at how small it all looked, but I think it just looks that way because Hung Sum used smaller steamers (as opposed to the medium-sized steamers) for the siu mai. I felt like the dumplings could've tasted a lot better with green onions. It looked good! 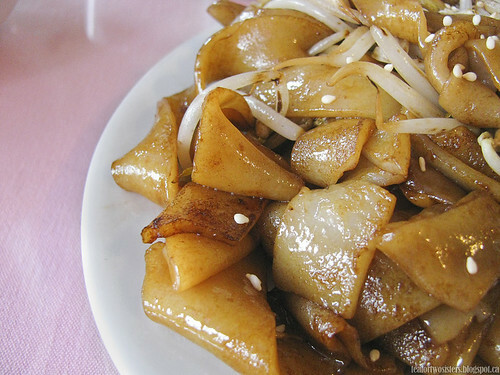 I saw great signs: lightly charred noodles and no pool of grease at the bottom of the plate. But there wasn't much smokiness despite the char. Sad. 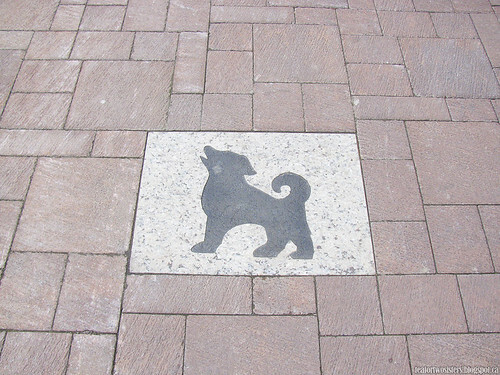 We walked over to My Sweet Tea afterwards and on our way, I noticed the sidewalks had the animals from the Chinese zodiac. 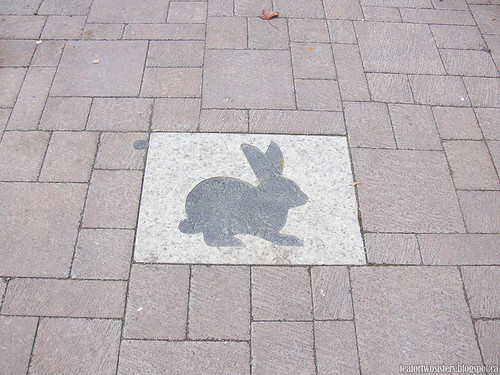 The rabbit was in front of a pizza place (Seasons Pizza?). That must be a sign (I luuurv pizza!). There was a dragon in front of My Sweet Tea. 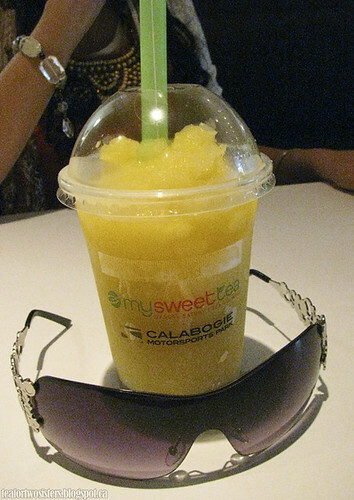 S ordered the mango slush and hot milk tea for myself. When we began to enjoy our drinks, S complained that our lunch had finally hit her. She struggled to finish her drink. 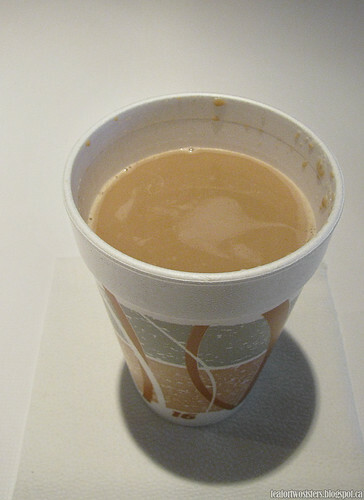 The hot milk tea hit the spot. It actually helped settle my stomach a bit. 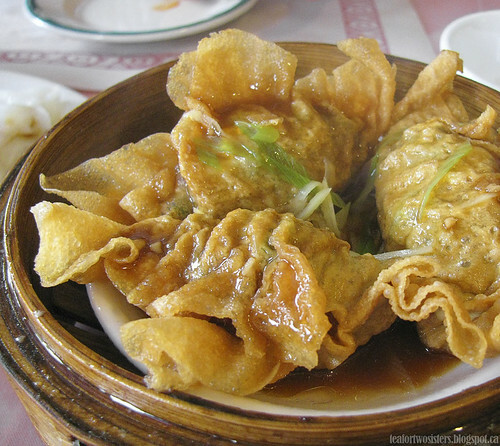 Hung Sum Restaurant's dim sum is better than the average dim sum in Ottawa, but their dishes are on the smaller side. It's actually a good thing that the portions are smaller. You'll be able to order more variety of dishes to share. Right? 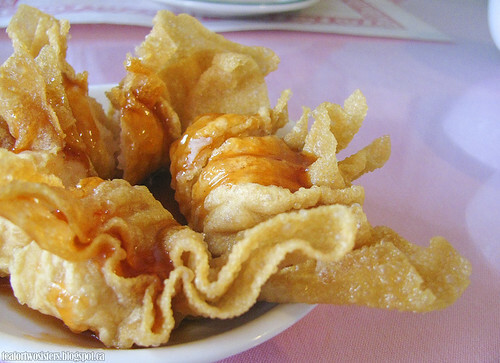 Since the construction on Somerset has been completed, go give Hung Sum a try. They have a limited dinner menu as well, so you can have a bowl of rice noodle soup with something and a few dim sum items. 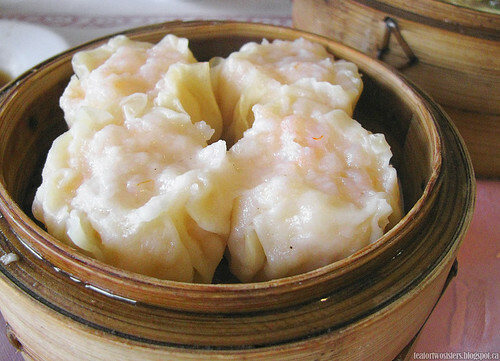 That's right, you can get their dim sum items for dinner too! 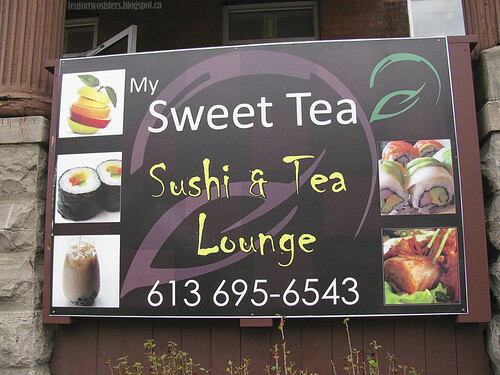 My Sweet Tea is probably the best place to get bubble tea in Ottawa. Their drinks have been consistently tasty over the past few years!